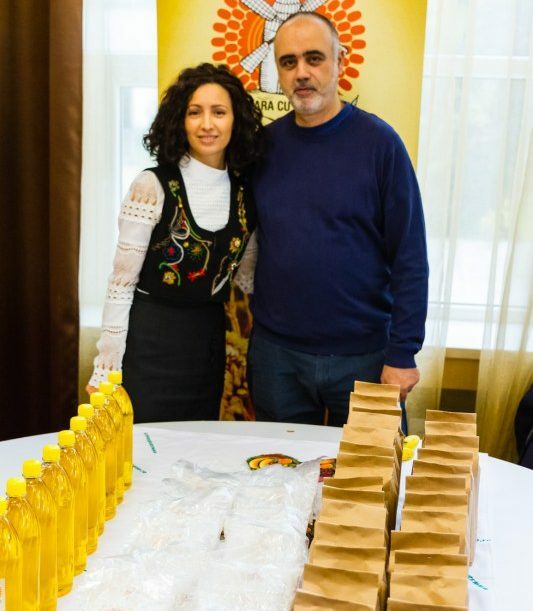 Today’s story is about Adrian Vlad, a man from Bucharest who wanted to provide healthy grains for his family, so he bought a gristmill – a mill that uses stones to grind cereal, a rare tool in today’s world – and it quickly turned into a successful business called Moara cu Pietre, which sells wholegrain wheat and other grains to customers throughout Romania, mostly through their website. Adrian says that’s not necessarily what he had in mind – the business opportunity just fell into his lap. 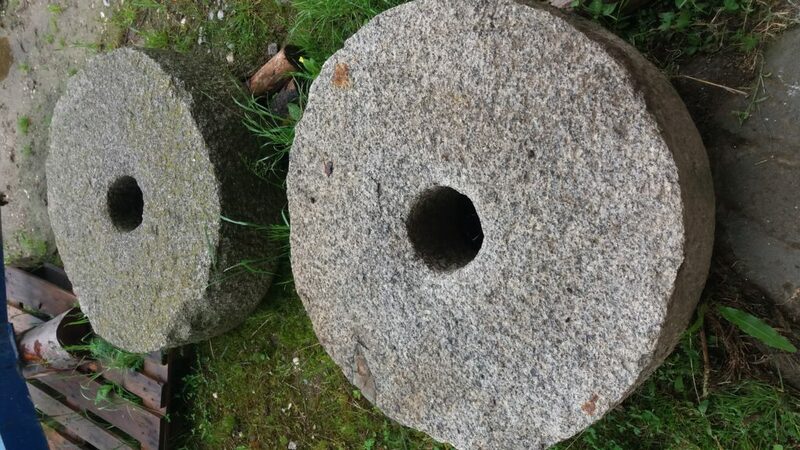 “I found someone online who was selling a broken stone mill in Maramures, with no engine. I don’t know why I was so interested – maybe I felt it would be useful for me to buy the mill, so I did,” he recounts. Adrian’s occupation before Moara cu Pietre had nothing to do with grains and flour. “It’s a long story and many people are surprised when they find out what I did before the business. I studied at the Theological Institute in Bucharest, but nothing caught on so I bought a computer, and from 1994 to 2014 I worked in IT,” he explains. The company’s activity is simple, as Adrian says it’s better to do one thing, but do it right. Moara cu Pietre sells ground cereal – regular wheat, spelt wheat, corn and rye. 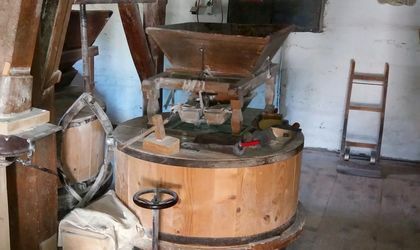 “Many people ask me how much of the stone ends up in a kilogram of flour and I tell them about the Ohaba mill in Brasov – people there have been using the same stones in their mill since 1873 and those stones are not worn out at all, so the answer is obvious,” he says. 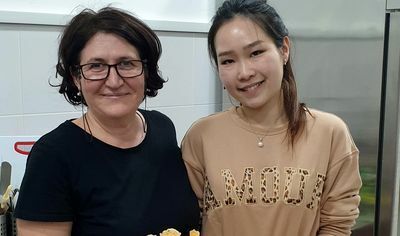 The entrepreneur encourages everyone to make their own, healthier bread: “It’s not a big effort. Homemade bread is so important for your health that the effort doesn’t count – and when I talk about bread I mean the one made using sourdough starter, not the ones that contain yeast. If you don’t have enough time to make your own, please go buy sourdough bread from small bakeries, it’s a good alternative,” he says. Moara cu Pietre is a family business: while Adrian works on distribution and transport, his wife and son take care of packaging. They have two other employees at the mill, and the output is about 40 kilograms of flour per hour. 70 percent of Moara cu Pietre’s sales are made online, 5 percent are made straight from the Bucharest warehouse and the rest is sold in stores around the country, in Bucharest, Brasov, Constanta, Bacau, Iasi or Roman. “We don’t have a sale point in Cluj, but there is an artisanal bakery called Brutaria Camelia there that makes sourdough bread using only our flour,” Adrian says. The entrepreneur says he has had a good experience with his business and even in dealing with the state: “Since I started the business, all the doors have been open. Everywhere I went, I found people who were curious about how I’ll manage to be successful with this mill – and I was. I only had one issue with a permit that took a long time, but otherwise everything went smoothly,” he explains.